Paul Maunder studied at Victoria University in Wellington before going on to graduate from the National Institute of Dramatic Arts (NIDA), in Australia. Later, while studying filmmaking at the London Film School, was swept up in the excitement of European filmmaking during the counter-cultural days of 1968. Returning to New Zealand, Maunder's search for employment coincided with a fortuitous opening for a director at government filmmaking organisation the National Film Unit. So began a five year period working at the Unit, which he writes about here. In that time he completed 10 films, including a trio of dramas featuring a strong element of improvisation, and distinguished himself as a filmmaker who never did things by the book. The NFU's vision of the Commonwealth Games, Games 74, was screened throughout New Zealand cinemas. Maunder was one of a team of four directors, and also helped edit; the film attracted polarized comments for its sometimes downbeat imagining of the sporting spectacle. In 1971 Maunder's screenplay for TV, a drama titled Saturdays, won the Ngaio Marsh TV Playwrights Award. The opportunity to direct one of his own scripts came the following year, when NZBC Head of Drama Michael Scott-Smith — a man that Maunder describes as "visionary" — began commissioning a number of independent productions. Gone Up North For A While (1972), a story of a young unmarried woman's struggle with an unplanned pregnancy, proved to be one of the most memorable. Made in a naturalistic style, with much use of improvised dialogue, the production presented some challenges. "Buying props and costumes required an emergency work order signed by the minister," recalls Maunder, "which reduced spontaneity a little, and recording synchronised sound was then a novel thing (a young Don Reynolds did that job)". The drama featured Maunder's wife Denise Maunder and Paul Holmes. It was widely seen and discussed at a time when parliament was debating introducing a domestic purposes benefit for unwed mothers. A year or so later, the bill was passed into law. The film won the Feltex Award for Best TV drama. After the success of Gone Up North, Scott-Smith commissioned Maunder to make One of those People who Live in the World (1974). This time Maunder chose mental illness as his subject. "After copious research including spending time a mental hospital, I wrote a two-part script," he recalls. "It was a big job for the five person crew (including myself), for the second part required setting up a mental hospital. Unthinkable now, but sort of fun. Everyone did everything." Feature-length experimental drama Landfall (1975) began as "a study of the commune impulse", but drifted off "into more of a tele-feature, with some reference to the settler culture. It became something of an arthouse film I suppose". The ensemble cast was one of Maunder's fellow Film Unit directors, Sam Neill, future TV director John Anderson and Jonathan Dennis, who would go on to found the Film Archive (now Ngā Taonga). Landfall was shown at film festivals, including the Pacific and Asian Film Festival in Shiraz, where it won the top award, the Golden Ibex. Unfortunately the film was never widely distributed, and so was little seen in this country. By that point, Maunder had left the film unit to devote more time to theatre. 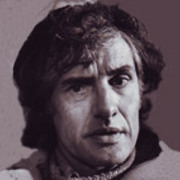 He had set up theatre company Amamus in 1971, and some of the group acted in Gone Up North. Later Amamus were invited to perform at an international festival of ‘free theatre' in Poland, and also staged a production on London's West End. Returning to New Zealand, Maunder alternated between work with Amamus, occasional directing for Close to Home, and developing a new feature film project. Sons for the Return Home (1979), based on the novel by Samoan writer Albert Wendt, was the first feature to examine the experiences of Pacific Islanders in contemporary New Zealand. Shot in NZ, Western Samoa and London, the film chronicles life for Sione (Uelese Petaia), who moves downunder at the age of four, and later meets a palagi woman while studying at university. Sons for the Return Home won an acting award in Czechoslovakia for Petaia; locally it played in main street cinemas. Maunder's preference for working in "socialistic situations" saw him becoming increasingly disenchanted with changes in the nature of local film production, and he began devoting more time to his theatre projects. He has now written or developed more than 15 plays. Many have historical and bicultural themes: Goodnight, Irene was triggered by the Pike River disaster (as was Maunder's book Coal and the Coast); Death (and Love) in Gaza was inspired by the 2003 death of an American protestor by an Israeli bulldozer. Theatreview's John Smythe praised the latter play, commenting how Maunder and the cast "were able to convincingly evoke an historical context and subjective experience" most viewers would never confront firsthand. Maunder's short story collection Tornado was published in 2009. The title story — which mixes a real life tornado and a Greymouth video shop — won the South Island Writers Association Short Story competition. His 2011 PhD thesis on community theatre in New Zealand lead to 2013 book Rebellious Mirrors: Community-based Theatre in Aotearoa/New Zealand, published by Canterbury University Press. He has also produced community videos, and developed some as-yet unrealised drama projects, including a historical film set in Taranaki. Paul Maunder has also represented Central Districts at cricket, although he is currently living in Blackball on the West Coast.